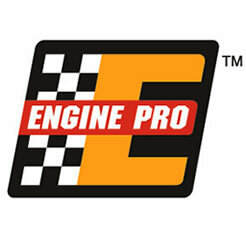 Priming an engine with a half-inch drill and getting oil to all rockers without this mod takes 36 minutes. After the mod it takes less than a minute. Here’s what I do on Dart Big M blocks. The lifter galley hole is 7/16˝ dia. (.437˝). The plug I make is .438˝ – .439˝ o.d. with a 250˝ hole in the back, that’s about .250” deep. The plug has a slight taper to the front edge about .100˝ wide. It is no longer than .375˝. The installation tool is made from a 7/16˝ x 6˝ bolt with the threads cut off and the end turned down to about .247˝ by .245˝ long as you can see in the pic. Insert the tool through the passenger side lifter galley hole at the back of the block. Using long needle nose pliers (or whatever it takes), you reach down through the distributor hole and place the plug on the end of the tool. 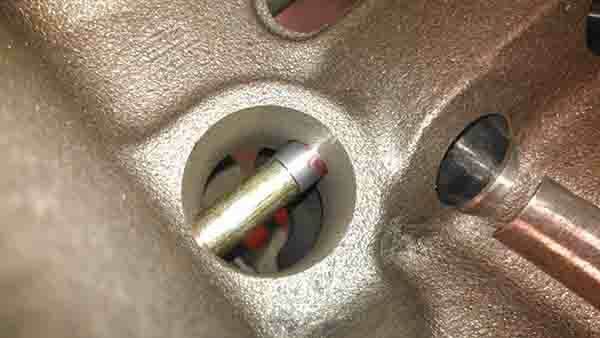 Gently drive the plug into the lifter galley hole between the distributor and the last lifter bore. I use some red thread locker on the plug to keep it secured. I make sure not to drive the plug into the lifter bore. Once done, I check to make sure a lifter goes in the bore and moves with no interference. I also check to make sure a distributor drops in the hole with no interference. It’s a good idea to de-burr the edge of the hole a little before you drive the plug in. The edge is pretty sharp and will shave the plug. When we moved to our new shop location we wanted to upgrade our head inspection and disassembly station from the traditional oil barrels that we used to magnaflux and drive valve guides on. We came up with these A-frame style “sawhorses,” complete with catch tray and hardwood tops to be easy on the head surfaces. They’re safer, more sturdy and able to catch the driven out valve guides and magnaflux powder to keep the floors clean and safe. 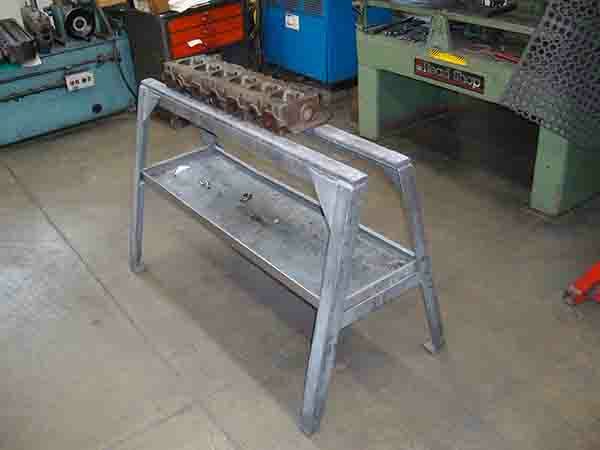 On the LS engine platform, instead of plastic buckets to hold the lifters up, these engines only have anti-rotational guides, which do not hold the lifters in place. 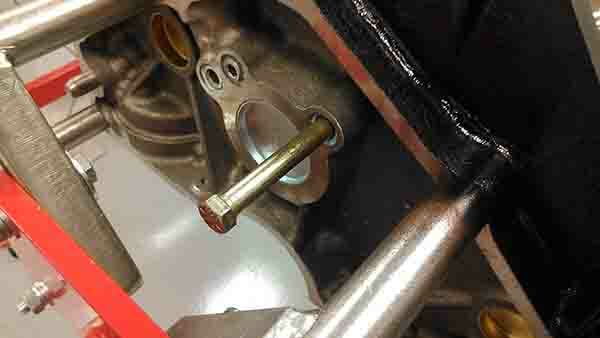 When changing camshafts, the hydraulic lifters can fall into the oil pan on performance blocks such as the LSX. 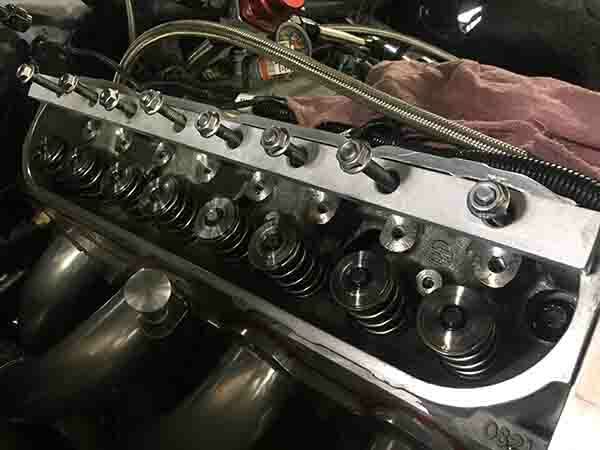 The normal procedure when changing camshafts is to rotate the cam 2 to 3 times to put the lifters in the plastic buckets, then the cam may be removed and the new one installed. But when there are no buckets, you need another way. Our shop fabricated a device to hold the lifters in place magnetically. The materials you’ll need include two aluminum 1˝x 1˝ strips 20˝ long and sixteen 5/16˝x 9˝ threaded rods and sixteen flanged nuts. Sixteen 5/16˝ magnets (readily available at any electronics store) are epoxied to one end of each stud with a flanged nut placed at the other. Drop eight finished studs through eight holes that are drilled into each 1” x 1” strip of aluminum. Drop the studs through the pushrod holes in the head, catch each lifter with a magnet and adjust the nuts until the camshaft is free. I use this lifting device to move things around the shop. It works great for a one-man shop, allowing me to move blocks, or anything that’s heavy, around. I made it from a pallet jack, a cherry picker and a 12-volt electric winch. 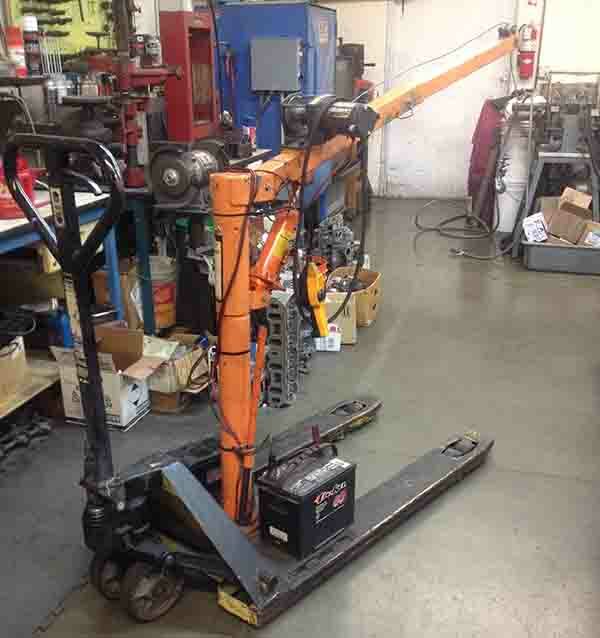 It works great and can maneuver around the shop with ease. 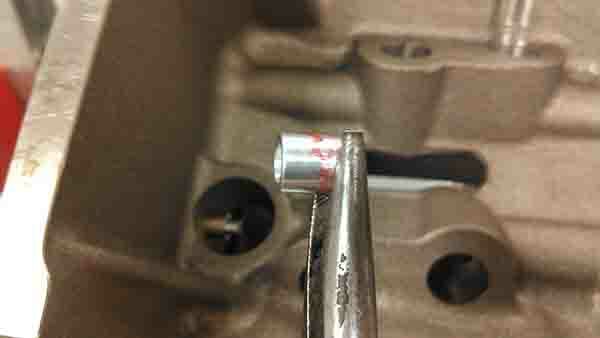 Instead of using an ill-fitting socket to install the valve seals on an LS engine, I took a piece of round stock from the turning center and used a lathe to drill a hole to match the seal size. 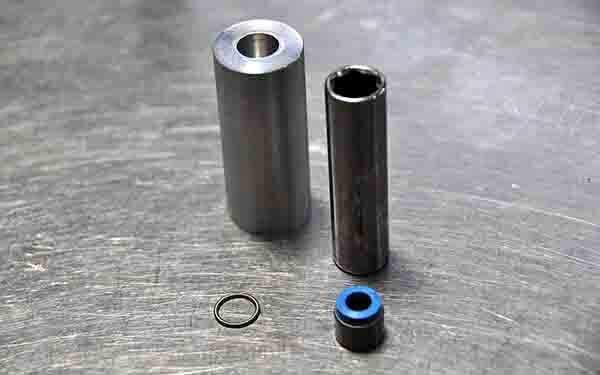 The tool securely holds the valve seal, but without straight edges that can cause damage. 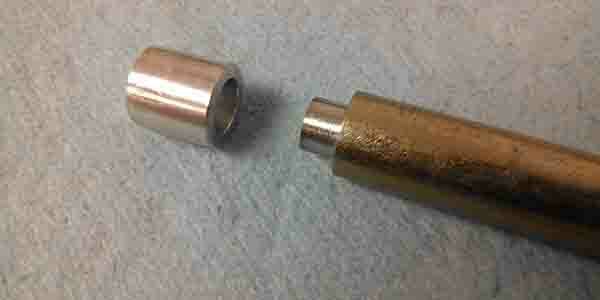 Once the seal is in place, the tool easily slides off so the spring can be installed.